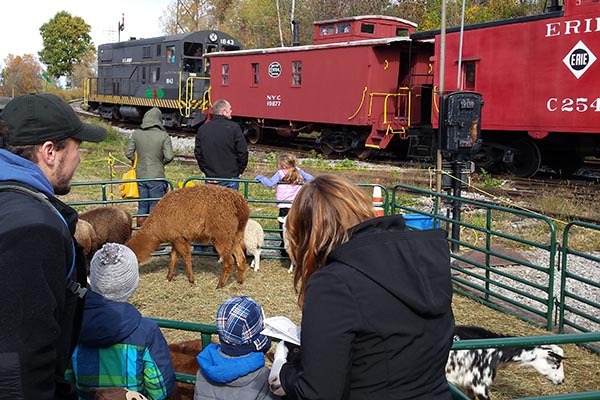 REAL TRAINS, REAL PUMPKINS: Enjoy a mile-and-a-half train ride through our rural museum grounds, located in the scenic heart of the Genesee Valley! 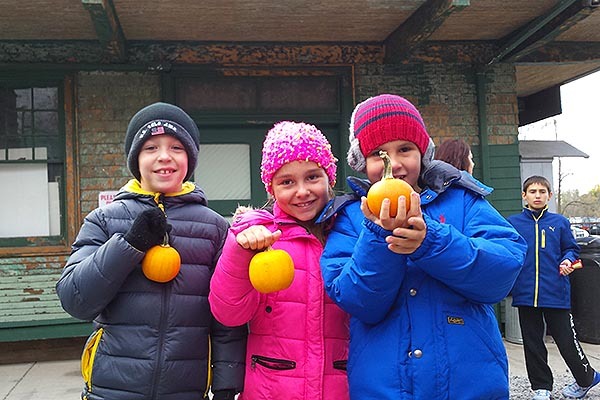 Ride aboard authentically restored freight train cabooses to the Pumpkin Patch! Every child will visit our Pumpkin Patch to choose a small baby pumpkin to take home to decorate. Complementary cider for everyone. 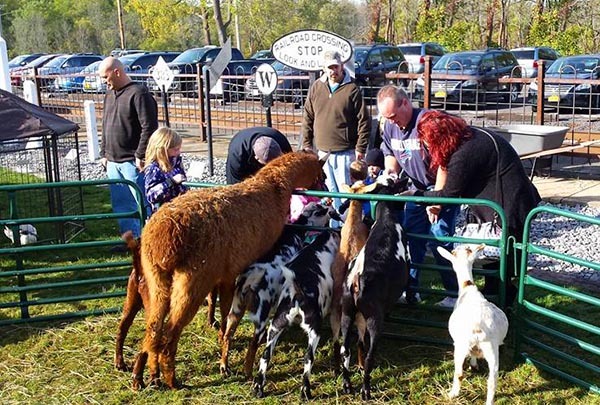 Enjoy our friendly petting zoo after your ride! Refreshments available. Disembark at our Restoration Shop to tour our collection of historic railroad equipment. Peek behind the scenes to see how we preserve Rochester’s rich railroading history for future generations to enjoy. Your return trip arrives at Industry depot, where you will have time to enjoy our displays and museum grounds.